This comprehensive, illustrated text offers an in-depth look at the mechanics and musical thought process of teaching the classical guitar the "why" rather than the "how" the classical guitarist does things a certain way. 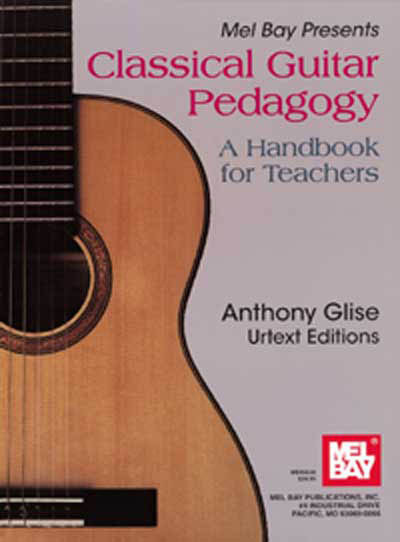 In the author's words, "Classical Guitar Pedagogy is the study of how to teach guitarists to teach." This university-level text will be of enormous assistance to the teacher in explaining the musical, anatomical, technical, and psychological underpinning of guitar performance. It contains ideas and techniques to help organize your teaching more efficiently, plus tips on career development as a classical guitar teacher and performer. If you make your living as a classical guitar teacher/performer you owe it to yourself and your students to get this book. Always in time with deliveries and great help with every order. Thank you!